This is becoming a favourite…. Can wait to get this into a freshly wicked tank and chuffing away on it. Very nice accurately described crumble with the cinnamon aftertones. If I had it my way there would be more berry and cinnamon in there… almost on its way to a Christmas special!! Enjoy! MY ADV Jason Budd on Dec 16, 2017 I won’t make a song and dance but this juice is my All day, every day vape! Just amazing flavour profile! Once you try this your be hooked! 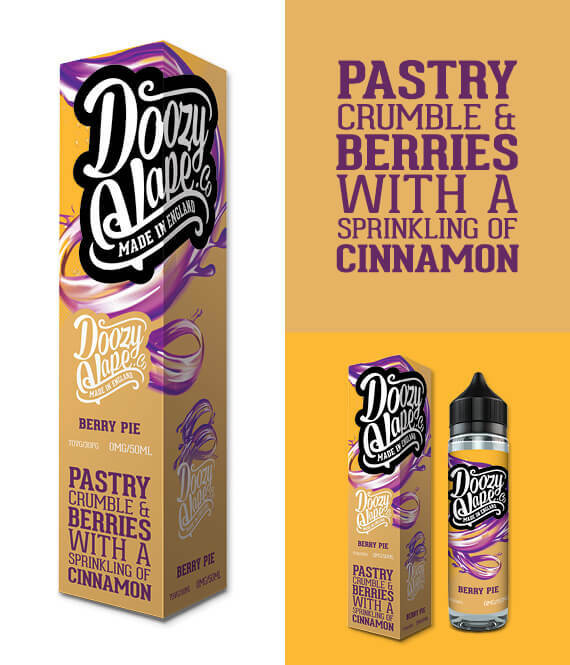 A smooth pastry flavour with a delightful berry filling and a subtle cinnamon after taste. Defiantly cherry in the filling can’t place all the others.